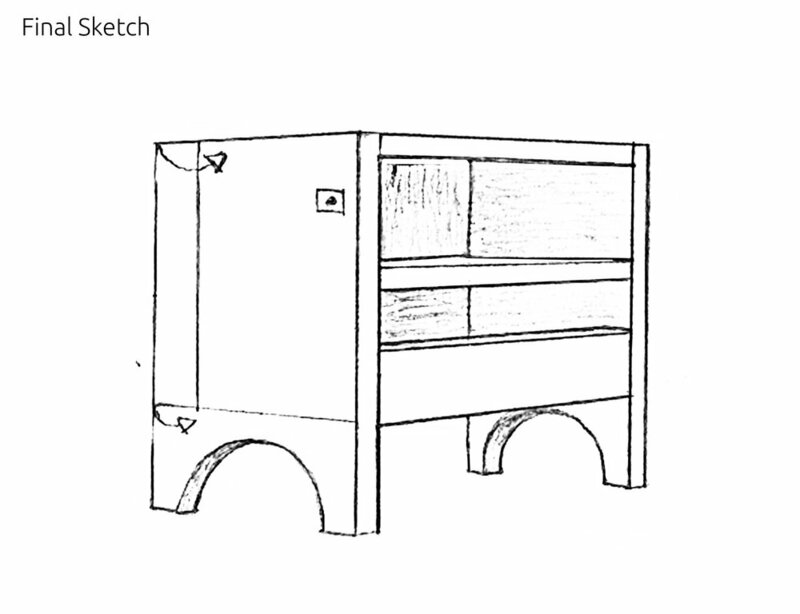 A shelf used for storing various supplies on your desk. Located in back of the shelf is a secret compartment for storing your laptop and keeping it safe when you are away. Built out of Plywood and stained.